I love stuffed peppers but I wanted a change from the tomato sauce and ground beef recipes, so I came up with this AMAZING Sausage Stuffed Peppers recipe. Since I like it easy, this recipe is as easy as it gets. Not need to boil the peppers before hand. I even use Uncle Ben’s Bistro Express Basmati Rice when I don’t have left over rice, or no time to cook the perfect rice. This is a great school night recipe. It doesn’t take long to prepare and gives you time to help the kids with homework while the peppers are cooking. Spray a frying pan with non stick cooking spray. 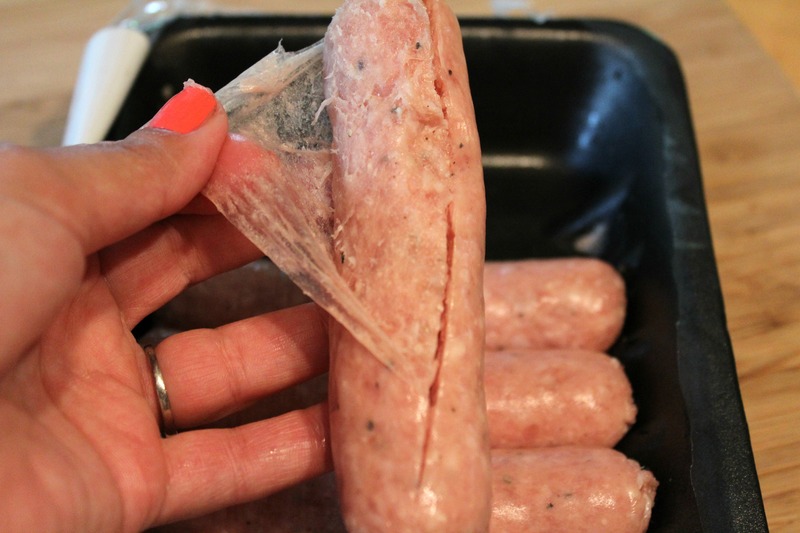 Slice the sausages lengthwise, remove the sausage meat from the casing and add the meat to the frying pan. Break apart the meat and cook at medium heat for 5 minutes. Add the chopped shallots and garlic to the meat and cook for another 5 minutes. Add the cooked rice, Italian seasonings, salt, pepper and broth. Cook for about 1 minutes making sure everything is well stirred together. Wash the peppers and cut a little piece off the bottom so they stay up straight. 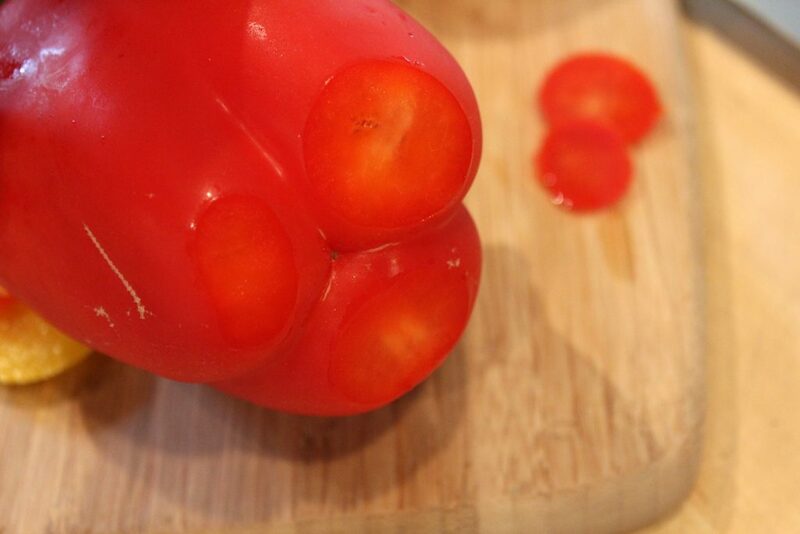 Cut the top of the peppers and remove the inside. 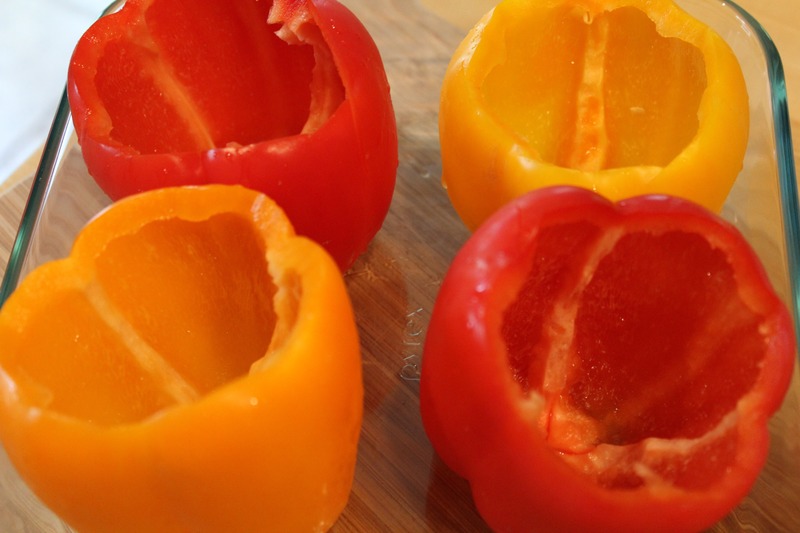 Separate the rice mixture between the 4 peppers and place the stuffed peppers in an oven safe dish. 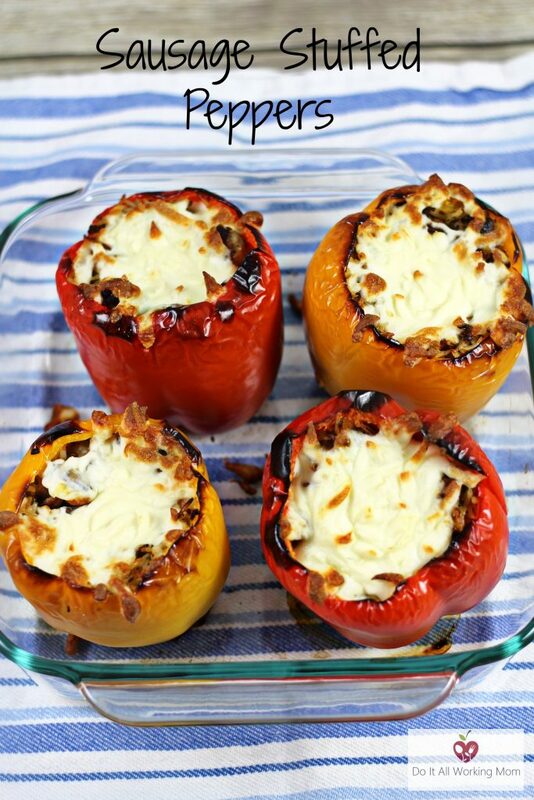 Remove the peppers from the oven and top with the grated cheese. 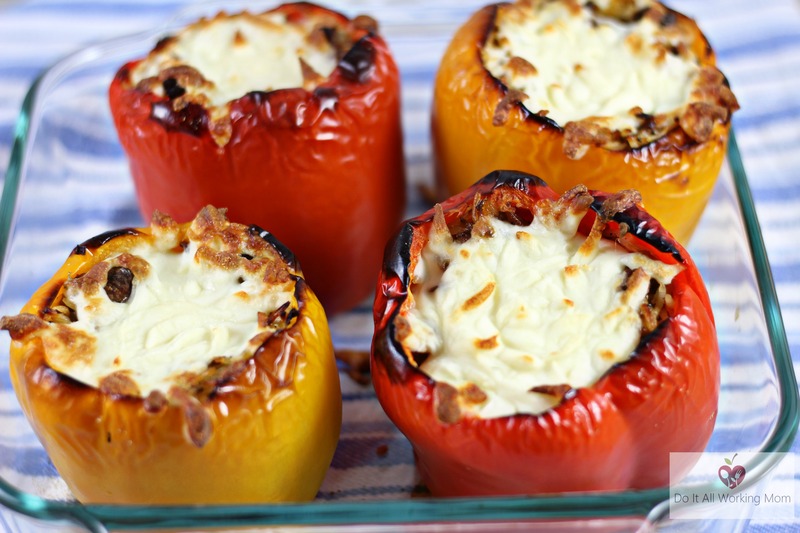 Hope you enjoy these delicious Sausage Stuffed Peppers.